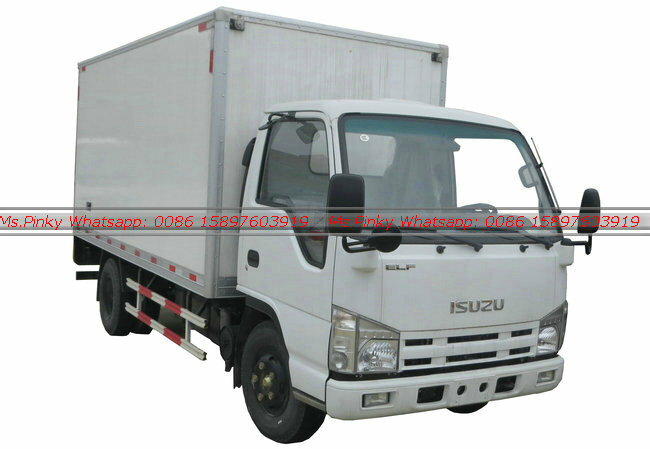 All series ISUZU Refrigerated Truck, Factory Directly Sales, Competitive Price, Good quality. 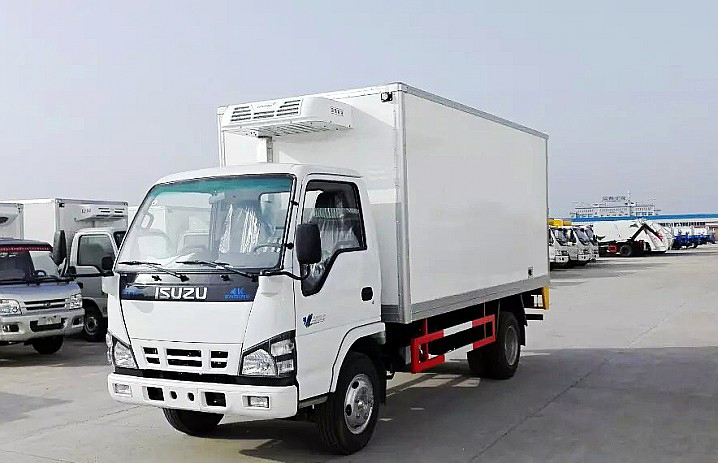 ISUZU Refrigerated Truck Inculd 5Tons 100P ISUZU Refrigerated Truck, 600P ISUZU Refrigerated Truck, 700P ISUZU Refrigerated Truck, FTR ISUZU Refrigerated Truck,FVR ISUZU Refrigerated Truck, FVZ Heavy Duty ISUZU Refrigerated Truck. 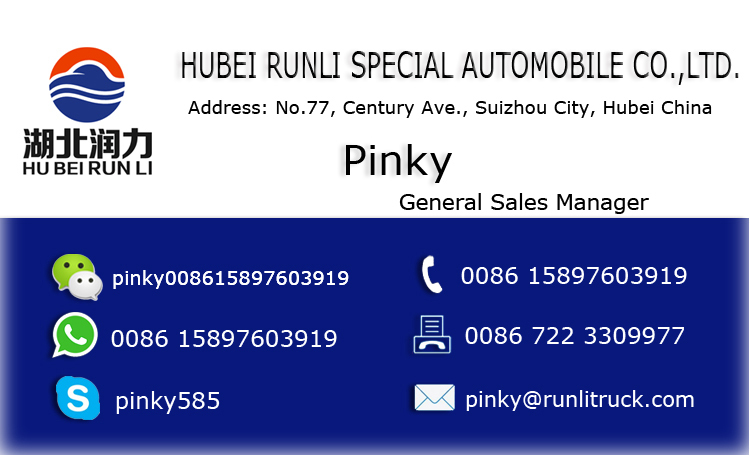 As the largest manufacture of Special Automobile In China, Hubei Runli COmpany adopt Fully enclosed polyurethane 900T hydrualic technology, and combines the ISUZU Original Chassis, make the ISUZU Refrigerated truck excellent, oil save, durable, thermal insulation and good handing performance. 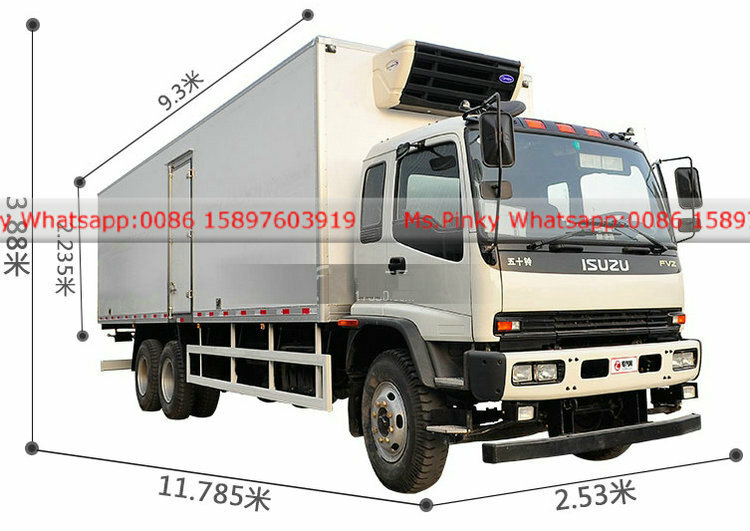 1.100P ISUZU Refrigerated Truck, single row. 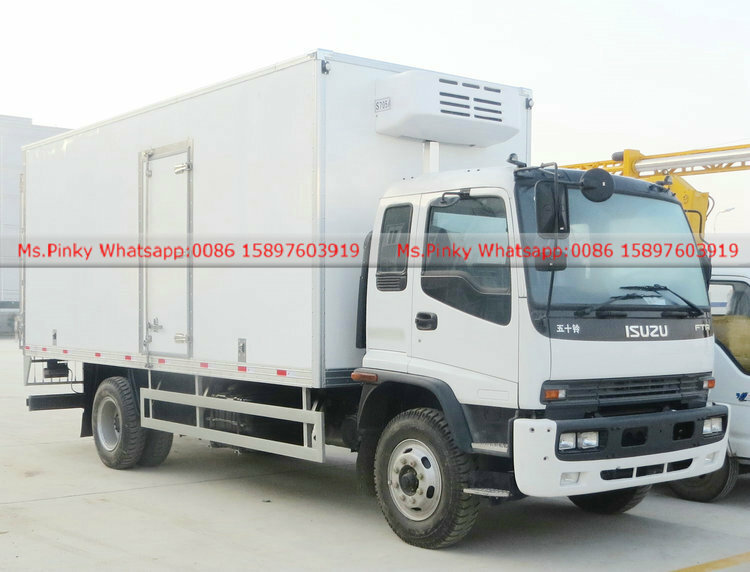 ISUZU Chassis equipment: original ISUZU Chassis, ISUZU 4JB1CN, 100HP Diesel Engine, ISUZU 5 Forwards MSB gear box, 7.00-16 tire, 2Tons front alxe, 4Tons rear axle, with air condition, power steering, oil brake. interior LED Lamp instlled in inside of Refrigerated Van body. the stainless steel door ornament and the lcok(optional: meat hook guide slot) , the meat hook, the bottom ventilation slot of the car body, the GSP Certification four side ventilation grooves; the dual probe temperature real-tiem monitoring. 2.5Tons front axle, 4.8Tons rear axle, with air condition, power steering, oil brake. 6. 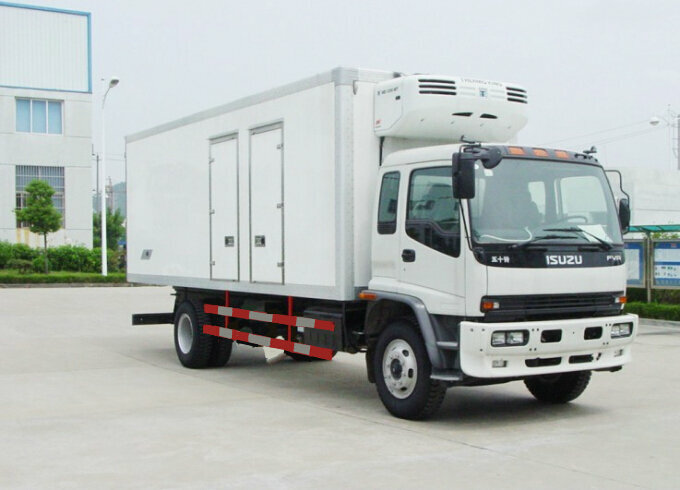 700P ISUZU Refrigerated Truck , single row. 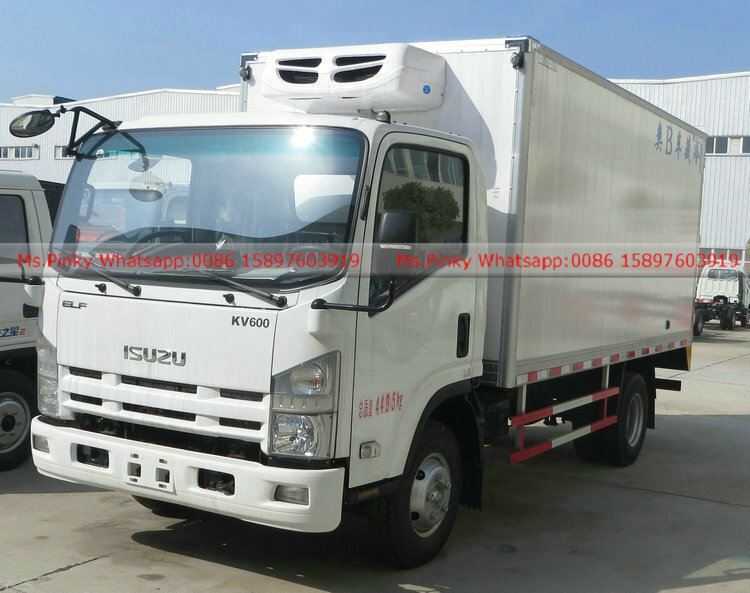 700P ISUZU Chassis, ISUZU 4HK1 190HP Engine, ISUZU MLD 6 FORWARDS, 8.25-16 Tire or 8.25R16, 4Tons front axle, 7Tons rear axle, power steering, oil brake or air brake. 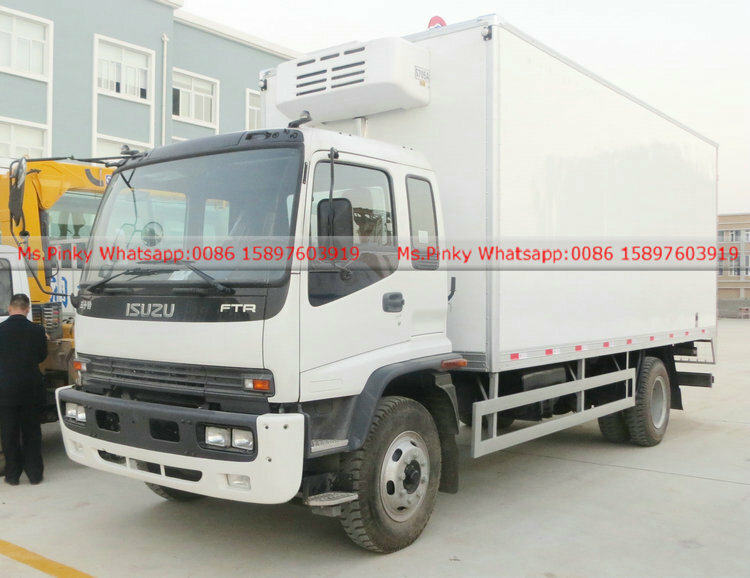 FTR ISUZU refrigerated truck, adopt ISUZU FTR Original chassis, ISUZU 190HP 4 Cylinder engine, ISUZU MLD 6 Forwards gear box, 10.00-20 or 10.00R20 tire, 6.3Tons front axle, 13Tons rear axle, with air condition, power steering, air brake, electrical window. 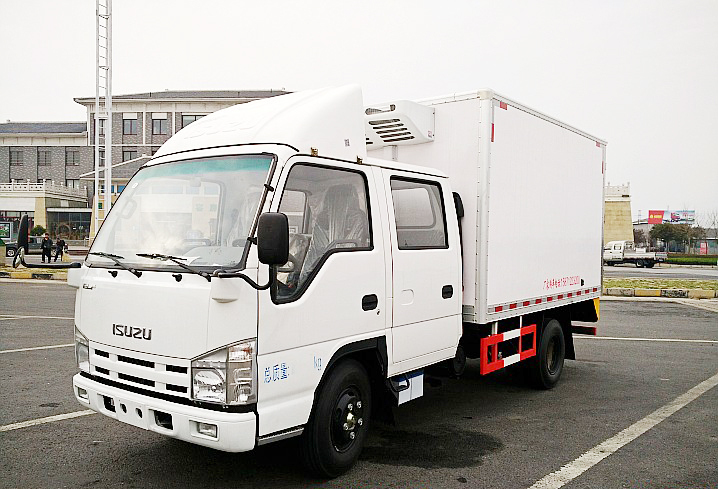 FVR ISUZU refrigerated truck, adopt ISUZU FVR Original chassis, ISUZU 240HP 6 Cylinder engine, ISUZU MLD 6 Forwards gear box, 10.00-20 or 10.00R20 tire, 6.3Tons front axle, 13Tons rear axle, with air condition, power steering, air brake, electrical window. Main producing technology:All-close panel, adhesive structure with the type of building block, Freon-free polyurethane vesicant material is our innovation, which are very different from traditional open sandwich panel with connect by metals, injected polyurethane at site with Freon. At last, finish the production by heating, vacuum and pressure using special equipment. 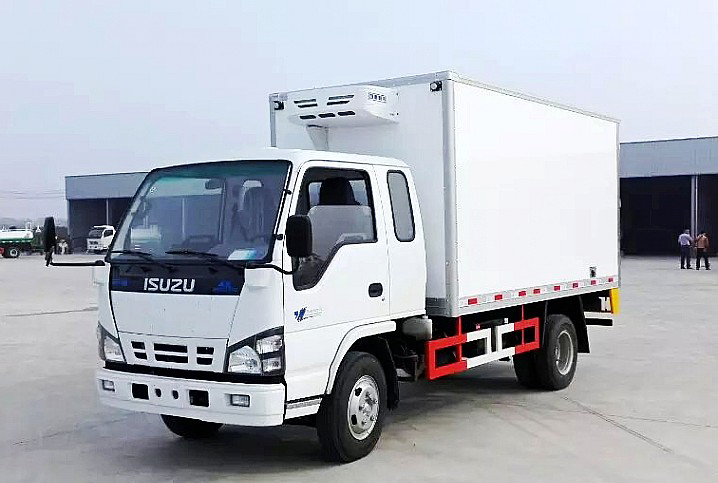 ISUZU Refrigerated Trucks are mainly used for Long distance transportation for fruists, seafood, fresh milk and ther deteriorating, perishable, fermented goods. or medical bllsuood, vaccine delivery and so on, medical blood, vaccine and medical supplies transportation.